What if my child would like to have school lunches? 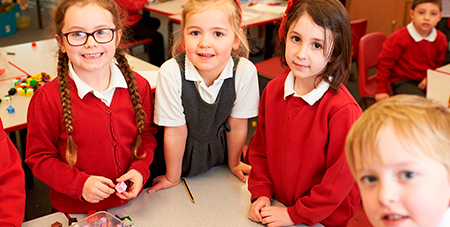 School meals are available and can be chosen from a choice of two hot meals per day. During morning registration, children having a school lunch are asked to choose whether they would like a the ‘red’ or ‘yellow’ option. Payment for the week in advance should be made on Monday mornings. The cost will be £2.20 per meal: payment should be sent to school in a named, sealed envelope stating the amount enclosed and the days on which meals are required and should be handed to the class teacher at morning registration. Payments in advance are welcome and cheques should be made payable to Essex County Council. Cash payments are preferred for amounts under £10. Remember your child is entitled to a free meal every day if they are in Class 1 or Class 2. You do not need to fill in any forms, just read the menu and let your child choose. If you think your child may be eligible for free school meals, please apply either through the school office or online ECC re School Meals. A telephone call to the school before 9.15 a.m. is required in order for your child’s absence to be authorised. If a telephone call, reliable message or note is not received, your child’s absence cannot be authorised. If your child becomes unwell during the school day and needs to be at home, we will make every effort to contact parents or named contacts. For this reason, please ensure that home telephone numbers, mobile numbers and work numbers are kept up to date by sending in any changes to the school office. Please also advise of any allergies that may develop, or medical conditions. It is the school’s policy not to administer medication unless a parental agreement is in place. A copy of this document can be found on the link below. What if my child needs school clothing? Please view the document below, or the ‘Documents@ section of the website, for the up to date uniform list and supplier. Please note a supply of ties will be kept in school, as they are not available online, check with the office if required. What if I want to know when events are taking place? A newsletter is sent home via Parentmail or ‘pupil post’ every other Thursday. This will give advance notice of trips, events etc. and will inform parents of items of interest. Please check your email or look in your child’s bag for it! Information is also regularly shared via the website. Please check the homepage or ‘Calendar’ section for details of events. We also use ‘Parentmail’ for urgent information sharing and reminders, parents are therefore encouraged to share their e-mail addresses with the school so they can facilitate this method of communication. What if my child’s class is going on a school trip? A letter or Parentmail will be sent home giving details of the proposed trip. A consent slip will need to be completed and usually a voluntary contribution is requested. These should be sent to school in a sealed, named envelope and handed in during morning registration. Cheque payments for trips are usually payable to Hatfield Broad Oak School Fund. Don’t forget that for Educational Visits the school now offers a packed lunch for the usual cost of a school dinner. Details of when this should be ordered with the school office will be advised before the trip. School meals are paid for at registration on Monday Mornings. Children order their meals for the week at the same time. Each meal costs £2.20. Payment can be by cash for a week, or cheque for a fortnight or more. Cheques should be made out to Essex County Council. Please put all payments in an envelope with your child’s name and “Dinner Money” on it. In the unlikely event of a school closure, due to bad weather or an emergency situation (e.g. heating failure), the information will be presented on the ‘homepage’ of this website and you will also be informed by Parentmail. Please note that closures will no longer be broadcast on local radio. My question wasn’t answered, how can I contact the school? 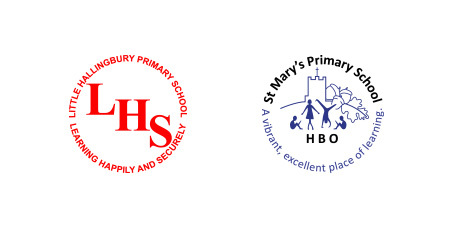 Please contact the school office either in person or by telephone on 01279 718267, or email at admin@stmaryshbo.essex.sch.uk Our full details can be found under the ‘Contacts’ section of the website. What do I do if I would like paper copies of items on the website? Not a problem, just contact the school office, let us know what you need and we will arrange that for you.